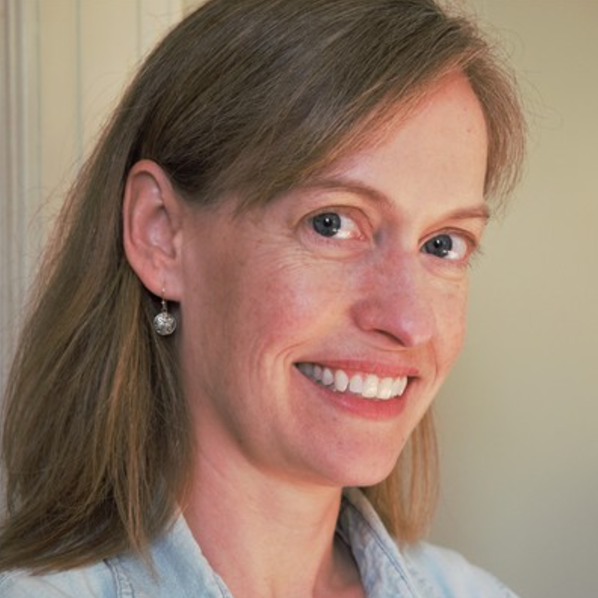 Laura Driscoll ​(Connecticut) has authored more than twenty-five books for young readers, including five of our favourite mathematical stories, published by Kane Press. These titles are 'Project Popcorn' (2017), 'Super Specs' (2005), and 'The Blast Off Kid' (2003) as part of the Math Matters series, and 'A Mousy Mess' (2014) and 'Count Off, Squeak Scouts!' (2014) as part of the Mouse Math series. To learn more about these stories, read our reviews, and find out where you can purchase them, simply click on their covers below. We hope you enjoy reading Laura sharing her experience of working on these incredible mathematical story projects with you! I find writing neatly with pen and paper, especially addressing envelopes in decorative cursive, to be very soothing. I just broke my ankle while skiing and am getting a crash course (get it?) in the mechanics of ankle bones and ligaments. Ankles are amazing! ​I can hold at least five pencils grasped between my bottom lip and chin. Okay, maybe just four. How would you describe your relationship with mathematics (and mathematics learning) when you were younger? And now? 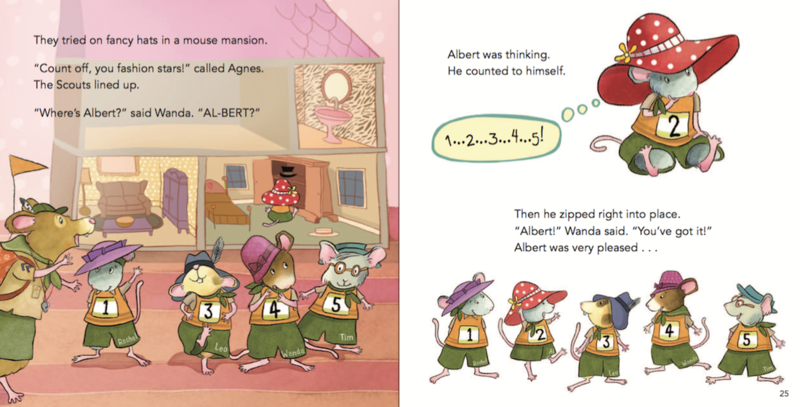 What inspired you to write mathematical stories for young children? My editors and publisher at Kane Press inspired me! My working relationship with them began nearly fifteen years ago. I was interested to try to come up with story ideas for their many series that tie into elementary-level curriculum. 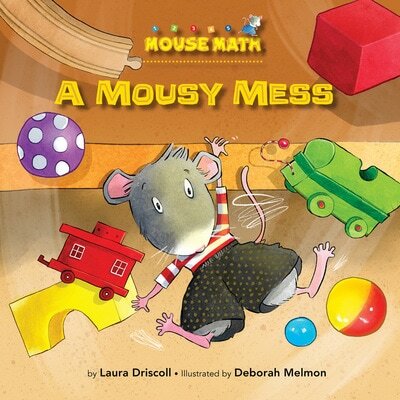 Over the years, I have been fortunate to write books for their Math Matters and Mouse Math series, as well as Science Solves It! and Social Studies Connects. 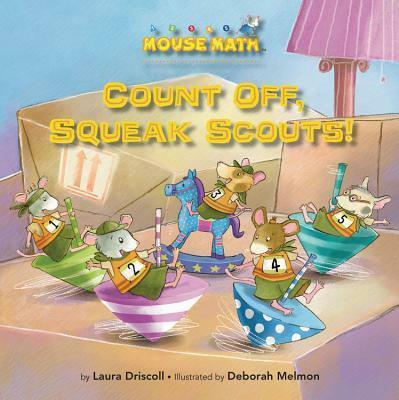 'Project Popcorn' (mean, median, mode), 'Super Specs' (number sequences), 'The Blast Off Kid' (place value), 'A Mousy Mess' (sorting), and 'Count Off, Squeak Scouts!' (number sequences) focus on specific mathematical concepts. What prompted you to focus on these topics? 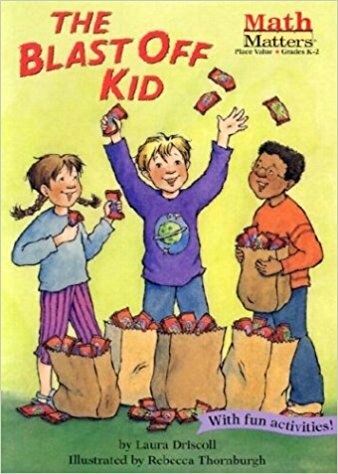 I think for nearly all of these books, the editors at Kane had created a list of specific math concepts that they were interested in adding to their math series. They then shared the list with me and I’d brainstorm to see if I could come up with a story idea that could serve as a good vehicle for exploring one of the math concepts on their wish list. Generally, about three months, on and off, depending on the book. ​What were some of the key stages that you went through in creating these picturebooks? I would start with the concept and then see if I could construct a story idea around a natural, real-world interaction that a kid might have with that math concept. I’d send a plot summary of one or two paragraphs to Kane Press and, if they liked it, I’d move on to a page-by-page outline. I’d incorporate their feedback into the next stage, the first draft, which usually included notes describing the illustrations I envisioned for each page or spread. There could be second and third drafts addressing feedback from editors and math consultants. Then the final draft would be laid out by the book designer at Kane and sent to the illustrator for them to begin their work. I find the brainstorming and outlining part of the process to be the most challenging, and I have always loved the editing phase. Yes, it’s absolutely the hardest part for me. I get a lot of inspiration from my children, who are now 8 and 12 years old. I think about what they’re learning or have learned at school in different grades, interesting conversations we’ve had about numbers and math, and especially math experiences they have had outside of school. ​​​​​For some maths picturebooks, the author is also the illustrator. In your case, you worked with illustrators. Did you find the experience tricky in having to communicate to other people what you had in your mind? 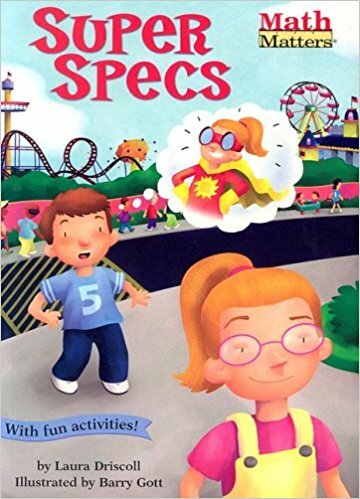 For these books, I didn’t communicate directly with the illustrators. I wrote art notes to describe what I envisioned could work as far as illustration. But then my fabulous editor at Kane Press, Juliana Hanford, would take it from there and refine or add to my notes in her communication with the illustrator, who would undoubtedly have his/her own fresh ideas about how certain pages could be illustrated. I’ve always been extremely grateful that there are people other than myself responsible for crafting the final product - both the text and the artwork. Earlier on in my professional life, I worked as a book editor on leveled beginning reader books. So I have a pretty good sense of what will work for the target reading level, but yes, I constantly stop and ask myself if I can reword a sentence or explain a concept in a simpler way. This is another reason it’s great to have editors! Usually we have a target overall word count we are shooting for. The amount of text can vary page by page, but we want to make sure that no one page is intimidatingly text-heavy and that there is ample room for a great illustration. ​Across the series, the characters in your books include both human characters and animal characters, and include settings that are very close to children’s real-world experience and those that are fantastical in nature. Did you find a particular type of characters / settings lend themselves more easily to writing mathematical stories? Why? 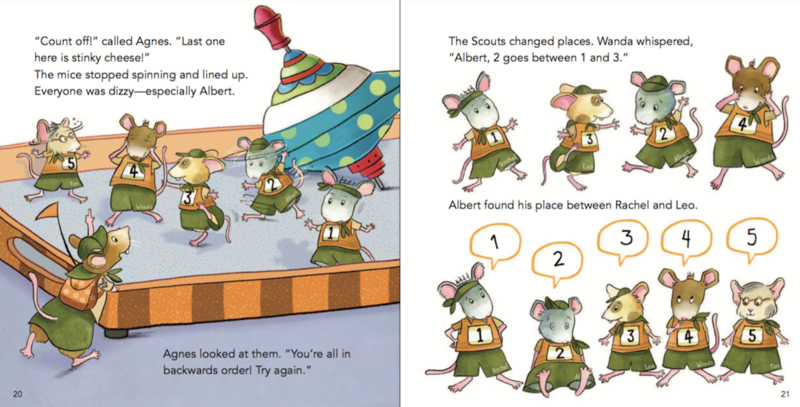 The mouse characters in Mouse Math are really just fun stand-ins for kids, so I’d say that curious kids, about the same age as the intended readers of the book are my go-to characters for these books. The setting can vary, but it can be anywhere a kid might confront a dilemma or issue enthusiastically and voluntarily (i.e., not schoolwork): at home, at camp, at a sleepover, in their scout troop, on a family vacation, etc. ​​On reflection of your maths picturebooks, how would you comment on the diversity of the books’ characters? Would you have done anything differently in terms of the diversity of the books’ characters? I feel good about the diversity of characters reflected in these books, and I thank the folks at Kane Press for making that a priority. 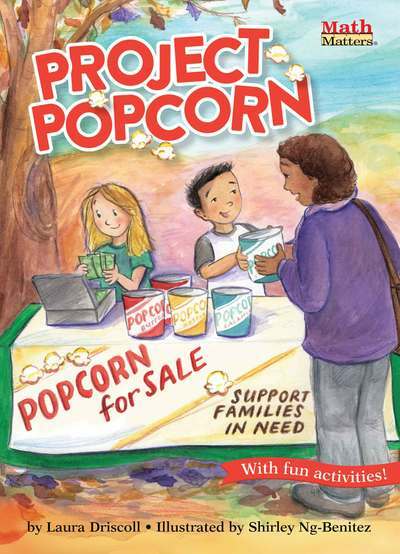 There are lots of female major and minor characters, various ethnicities are represented, and my latest book, 'Project Popcorn' includes a girl in a wheelchair. Well, it’s fun, and it helps to illustrate that math is all around us. And while I am no scientist, I imagine that approaching mathematical understanding from various angles probably stimulates different parts of the brain and deepens a child’s understanding of the concepts. ​"The process of creating a math story requires that the child fully understand the key concept to the point of being able to put it into a narrative context. Plus, I assume most kids will choose a story context that’s familiar or fun to them. So they wind up writing about something they enjoy while looking for math connections at the same time." I would think that compared to rote memorization, the process of creating a math story requires that the child fully understand the key concept to the point of being able to put it into a narrative context. Plus, I assume most kids will choose a story context that’s familiar or fun to them. So they wind up writing about something they enjoy while looking for math connections at the same time. Make it fun. Start with what excites her/him. Work together to find the math connections within the child’s areas of interest. Try “what-if” writing prompts to get ideas flowing. If writing is a daunting task for the child, consider having her approach the storytelling in a comic strip or graphic novel format. My son adores making comics. He seems to get overwhelmed thinking about the whole of the story at once. But when he breaks it down into panels, it feels much more manageable. Do some research online, in bookstores, and in libraries to find out which companies are publishing books like yours. Then visit their websites or see their listings in books like 'Children’s Writer’s and Illustrator’s Market' (updated annually, often available in the reference section of your library) to find out whether they are accepting submissions and, if so, how to submit yours. Definitely talk to any people you know who have had children’s books published. Ask for their advice and referrals. "The “Resources” section of your website is fantastic. What an incredible resource for parents who might be trying to help their child have more fun with math!​"
I’m so glad MathsThroughStories.org is doing this important research and outreach to teachers and parents. I have seen in my own children’s classrooms that when foundational math concepts are taught in multiple ways, it’s much more likely to “click” with a larger number of students as well as deepen their understanding of the concepts in ways that could increase their comfort with math and numbers for years to come. The “Resources” section of your website is fantastic. What an incredible resource for parents who might be trying to help their child have more fun with math! 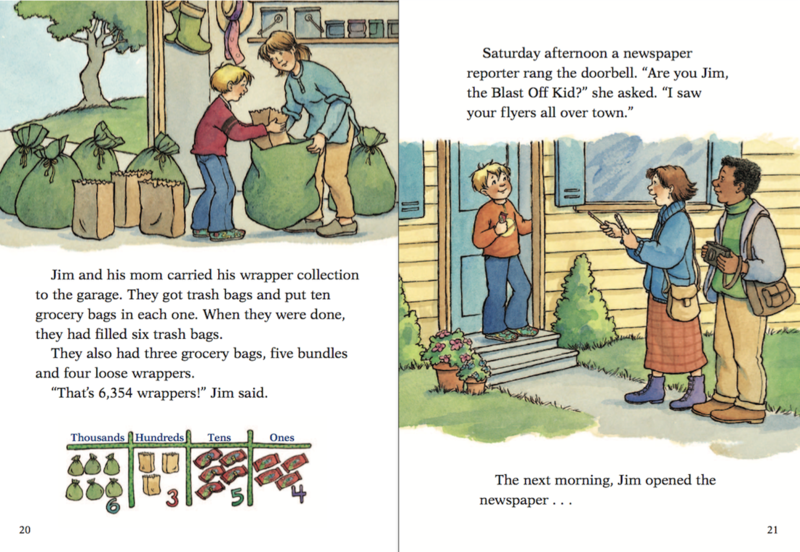 ​​Illustrations copyright © 2003 by Rebecca Thornburgh from The Blast Off Kid by Laura Driscoll. Kane Press. All Rights Reserved. ​ ​​Illustrations copyright © 2014 by Deborah Melmon from Count Off, Squeak Scouts! by Laura Driscoll. Kane Press. All Rights Reserved. Have comments about this interview or Laura's books?